Founded in 1955, G K Shetty Builders established itself as a leading builder of the time winning its spurs by meeting the rising demand for housing post independence. In the early 1950s, Mr G K Shetty came to Chennai, from a small village in Salem, with a dream of building a better future. 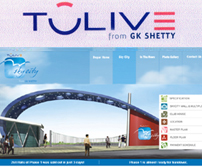 G K Shetty Builders Pvt Ltd: No.3, Club Road, Chetpet, Chennai -31, Tamilnadu, India.